I am privileged to live in a community of friars who have served for a long time. One of them, Fr. Tom, a former military chaplain, recently lost is older brother. Tom was not able to travel to the funeral due to illness, but was able to celebrate a memorial Mass here at the friary for his brother. Tom began his homily by referring to his parent's passage from Ireland to the US in the early twentieth century. He told us that they prayed, while on the way over, that their family would not lose the faith in the "hustle and bustle of America." It would seem that their prayer was answered. After all, Tom is a friar and priest. His brother who died was a good Catholic husband and father who had a daughter that became a nun. Stories like that are true of so many families that came here from Ireland, Italy, Poland, Germany and other parts of Catholic Europe. 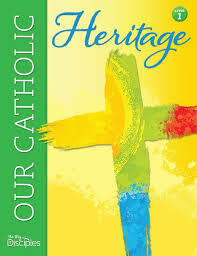 They came here, worked hard, educated their children, saw their children advance economically and above all witnessed their Catholic faith being passed on. Sadly, after 3 or 4 generations, the passing on of faith has slowed down. Why is that? There is no easy answer to that question. We can play the blame game and point to the faults of the Church and her leaders, not only the scandals, but the rude and harsh treatment of people by clergy and others in Church positions. There is some truth to that. Pope Francis has clearly called for a change of attitude in that regard. We can also point to the fact that our age is more secular, less open to faith, that it is more individualistic, or that relativism--everybody as their own truth, is the order of the day. Again, there is much truth to this. I think, however, that there is something else, something that should cause both sides of the equation to stop and think--shallowness of thought and the temptation to the instant fix. Unfortunately we have become a culture that lives in the shallow end of thinking. Our schools educate for test results, overemphasize math and science to the detriment of the humanities and are slaves to political correctness. We see the fruit of this lack of depth in what passes for political debate. The social media are filled with "gotcha" moments presented by both liberals and conservatives, but rarely do we see a well thought out position on anything, just playing to the masses and their emotions. This is a blog post, and thus prone to oversimplification with the need to be brief, but I am convinced of the truth of my case. When it comes to faith both the Church and those who would walk away, are often guilty of the same shallowness. The Catholic Church has a rich intellectual tradition. Instead of sharing it we too often just quote rules and laws. On the other hand too many people walk away because of the human foibles of Church leaders and never explore the depth of meaning of our faith. I believe that if we jump into the deep waters of rational thought and the rich heritage not only of Catholicism, but of Western civilization, that many of our problems could be solved, and our Churches would start to fill again.